You’ve banked a lot of points at Birchbox. What should you spend them on? There are thousands of great items in the store. If you’re a subscriber, you’ve probably even sampled some gems you could buy. I like to use my points to purchase more boxes. The Limited edition boxes, in particular. 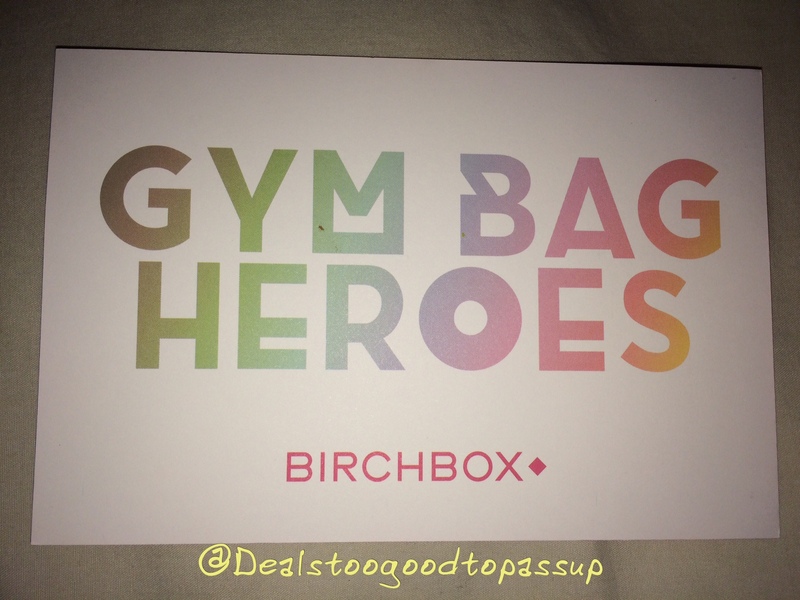 The Gym Bag Heroes Limited Edition Box is perfect for me. New gear for my workouts is great, although I look forward to trying most of the beauty products as well. The box does not remind me of a gym at all. With the neon and holographic print, it reminds me of a club in Vegas from the 90s. I am not complaining. It looks cool. Every box has a product card explaining the contents. This box retails for $40. The first thing I noticed is theBalm Stainiac had a much nicer consistency than the sample I previously received of this from Birchbox. This is the 0.3oz full-sized product worth $17. It is such a beautiful pink that almost looks red in the container. You can see a bit of red tones in it. Most cheek products fade on my quickly. 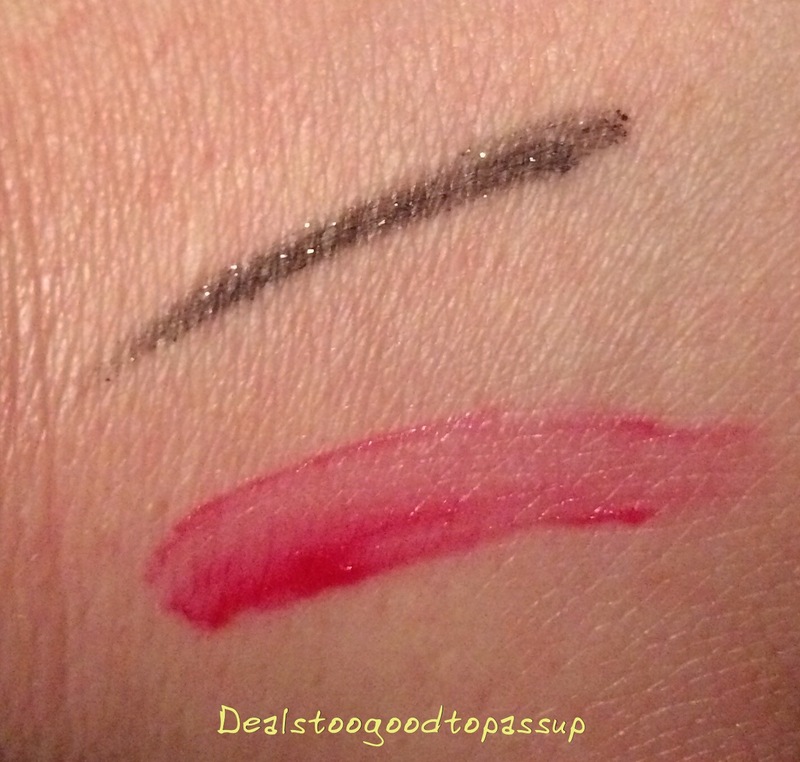 This lasted a little longer than others on my cheeks, but the formula in the sample withered up and dried out quickly. Hopefully, the full size does not fare as poorly. If it does, I will try to come back and edit this if I remember. Its sample-sized counterpart will be lucky if I can squeeze one more use out of it, and I only opened it a couple of months ago to use 2-3 times. I received it with an eyeliner in the past, so I pulled the old photo up. Ignore the eyeliner (I certainly have). I was wearing it in this picture. I’ve received this 1.0oz amika Perk Up Dry Shampoo in the past, but I have not tried it yet. Trying new dry shampoos in the quest to finally find one that meets HG status is still on my agenda, so I look forward to trying this. Birchbox sells this travel size version for $9. The 1.69oz Avène Cleanance Soap-Free Gel Cleanser is worth $5. I am always trying to find a nice soapless cleanser, so I really look forward to trying this. It smells great and because I snuck a peek at the scent, the expiration countdown started. This must now be used sooner than later. A philosophy I may have implored purposely even if I have too many face washes open as it is. 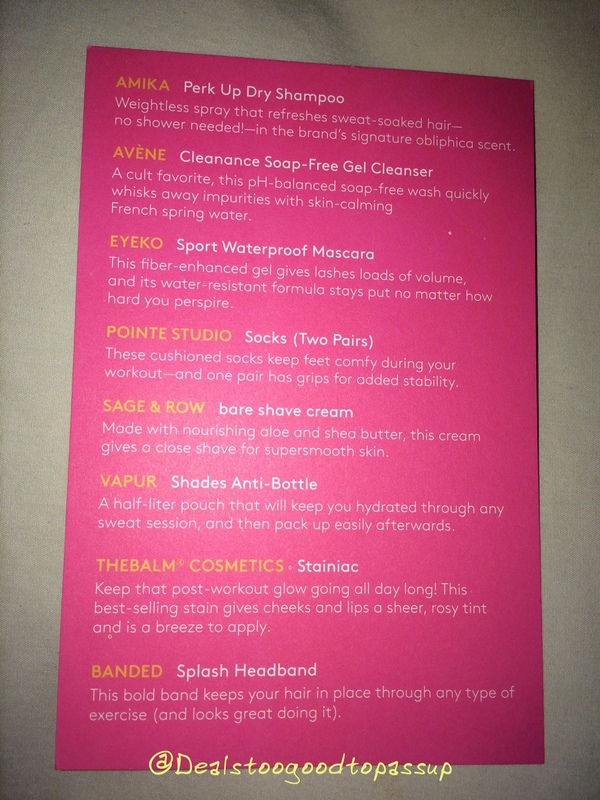 The Banded Splash Headband worth $9.98 is not sold at Birchbox. It is always a wasted opportunity to place a product in a box that has a store and not sell it there, but I will just leave my comment on that there. I really like the pattern selected for my box, so I am happy with it. This seems durable and did not slip off my head at all (I was sick when the box arrived, so I have not worked out in it yet). The Joha Stripes Earbuds with Mic were difficult to price. I could not find them at Birchbox or anywhere reputable for the same price. This is another missed opportunity. Amazon lists them for $6.49, so that is the price I am going with. My son always steals my headphones, but I am not inspired by the price of these. As such, I will probably continue to fight my son for mine. If by some miracle these work nicely despite the price, I like the idea of letting my son keep the headphones. He breaks them as he uses them anyway, so it is not like I really want them back. Finally some Eyeko. I am still waiting on that missing eyeliner help up in customs with the June boxes. This 0.29oz Eyeko Sport Waterproof Mascara is full-sized and worth $24. While I see a time and a place for it, I generally avoid it. I do not like when it is too difficult to remove, and I feel waterproof is not necessary in most cases. 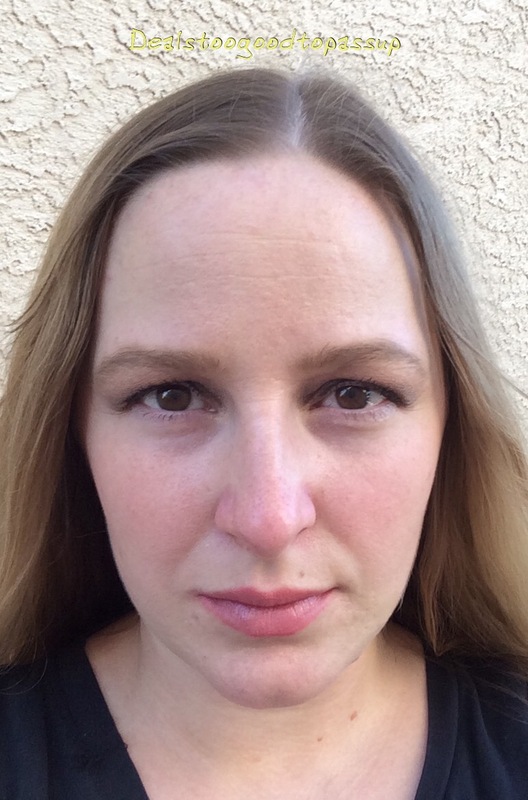 When I am swimming, working out, or most other sweaty tasks, I do not typically want mascara on. Having a full-sized one will be interesting, because I have not even finished a sample size mascara. The two pack of Pointe Studio Socks retails for $22. I am very happy with the patterns I received and look forward to running in socks with grips on them.Hopefully, it helps my feet slide a little less. White socks are pretty boring, so I always appreciate a little splash of color. The 3.5oz SAGE & ROW bare shave cream is full-sized and retails for $17. I used to use drugstore shave creams exclusively, but Whish changed that. This is more expensive per ounce than Whish, so I hope it performs as well. The Vapur Shades Anti-Bottle retails for $9.99. I like the pattern on mine again, so I am very pleased with every item selected for me. This is a durable plastic that is extremely light and folds. Taking this on a run where you can fold it up and tuck it somewhere seems ideal for running in hot months where you need water but also want free hands. Hopefully, it works the way I am imagining. I had $40 in points and a code for 20% off, so I also purchased a $10.50 Marvis Toothpaste leaving a $0.40 balance. The code was 3MONTHS20, which was the anniversary code celebrating the third month of this box. This was actually my fifth month on this second box, but codes do not expire. They sometimes will not work in the first half of the month, so just try your order again in the second half of the month. I ordered this 08/24/15. Anytime you spend over $35, you can add a 2 piece sample to your cart. This is separate from a discount code, so you should combine them. 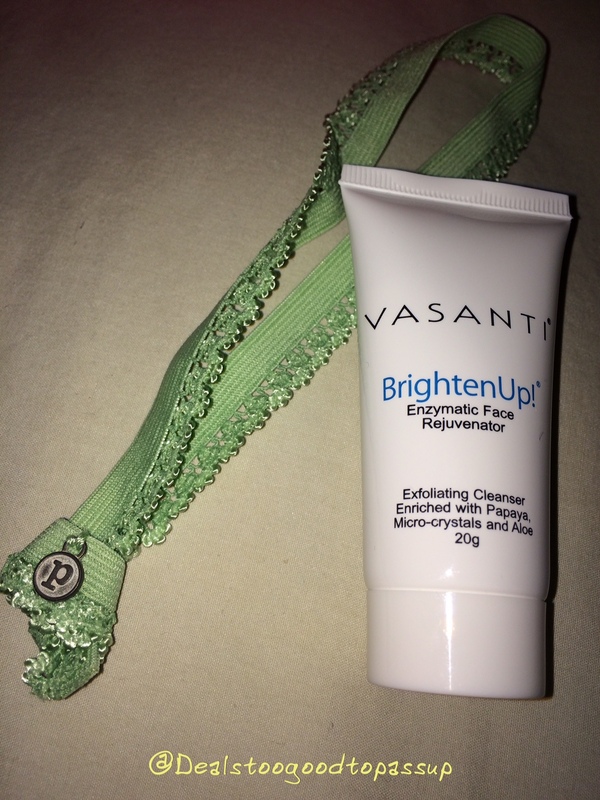 It is actually getting comical how many Vasanti BrightenUp! Enzymatic Face Rejuvenator samples keep arriving here. I am almost certain I’ve received this at least three times across my subscription and extra orders. Although I have not tried it yet, I really do look forward to trying this $5.67 sample. The Pure Vida Lace Headband in this pretty green color is perfect for a workout box sample. If this was a coincidence, it worked out nicely. It’s very pretty and worth $2.25. 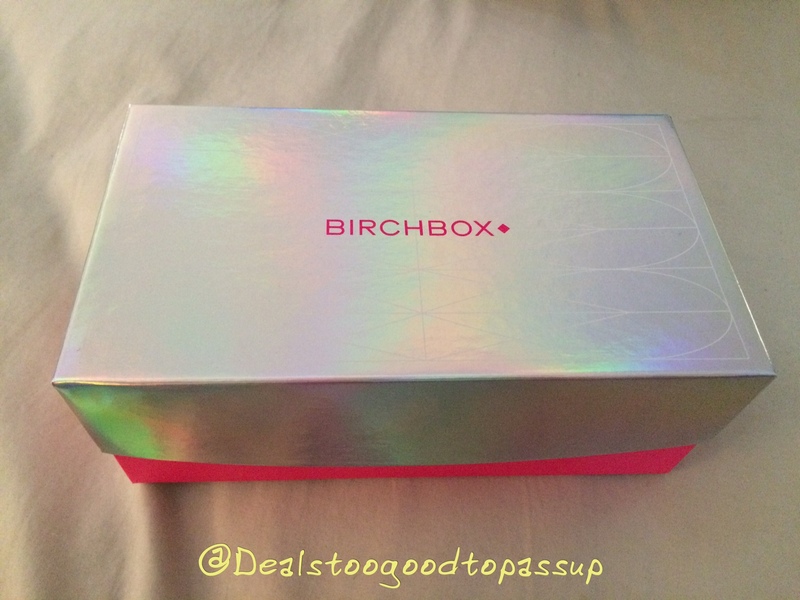 The box is worth $120.46, which is a bit less than the $137 Birchbox advertises. Whenever my numbers are that far off their numbers, I try to envision where the rest of the value is. Some companies charge a lot more for smaller sizes, so my valuation which divides the smallest size sold by the size of my sample may not reflect the method they use. It is also possible the headphones have a higher value. My personal value is also $120.24, because I will try everything in here. 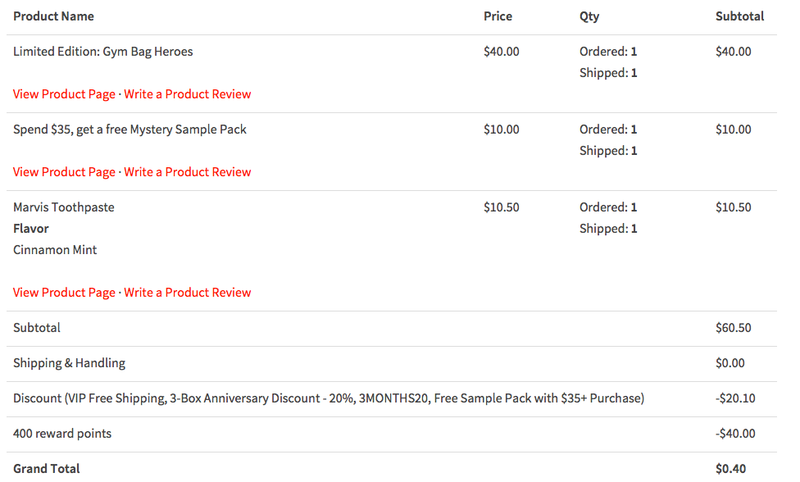 With the samples, the total value of this order is $128.38. I am happy with the value of the box, especially for the $0.40 I paid. Technically, they paid me $0.81 to take the box. MrRebates gave me 3% back on $40.40 (because the points are like a gift card in the scenario). If you shop at Birchbox, you need a Mrrebates account, because Birchbox does not affiliate with other pay to shop programs like ebates, or ShopatHome. You should really sign up for all of them, because each has affiliations with certain stores that others do not.